When choosing a walk suitable for children, remember that, despite their seemingly boundless energy, they can tire easily. Select a family walk that matches the interest and ability of the kids, and pace the outing to the slowest walker or youngest child. Don't wait until you are tired to take a break; short legs will be fatigued first. Be aware of your children’s limits at all times, and allow them to rest when they need to. Stop frequently for water and snacks. For children who might need motivation to walk, suggest a scavenger hunt for some entertainment. Also, it helps to walk towards ‘something worth seeing’: reaching a waterfall, a beautiful picnic spot, a playground, a cave or a place to paddle or swim all make exciting goals. 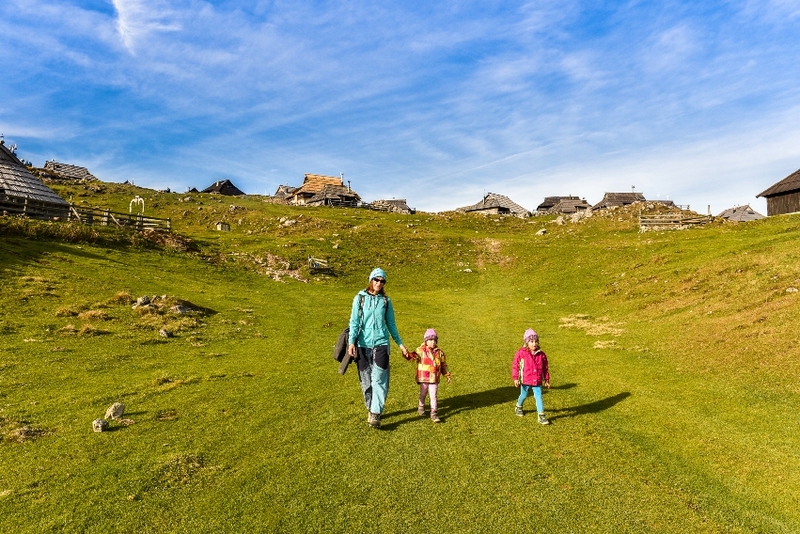 Hut-to-hut walks (where turning back is not an option) are not recommended on holidays with young children. A less demanding option is a single-centre based walking holiday. This simply means: stay in one family-friendly hotel or self catering place for the duration of your family holiday and explore different walking routes in the area. Do encourage your children to respect nature and other people. Ensure they always stick to the trail and don’t allow them to take shortcuts. If you yourself have the habit of taking dangerous shortcuts, break it. In a mountain environment, it can be deadly! Make the hike as fun as possible through games, singing and looking out for specific items of nature or wildlife. Be as creative as you like! A walking holiday in the regions of Germany, Austria, Switzerland and Northern Italy can include activities other than hiking, as these regions are blessed with a number of great outdoor pursuits. In most mountainous areas there will be the option to take cable car rides up to spectacular viewpoints. Watersports include swimming, kayaking, white water rafting (particularly popular in the Tyrol region), plus more adventurous sports such as rock climbing, abseiling and bike hire. Some regions also have excellent children’s clubs (Kinder Club), which offer a variety of activities for your younger travellers.